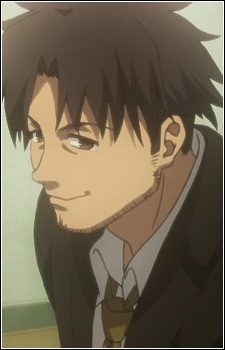 A detective working with the local law enforcement, Daisuke is Mikiya's cousin who acts as an elder brother figure to him. Despite his scruffy and laid back appearance, Akimi is a diligent investigator who's put in charge of unraveling the truth behind a series of strange murders which he suspect someone from Mikiya's high school. Daisuke hold's Mikiya's investigation ability in high regards, and often share some classified information with him for suggestions.